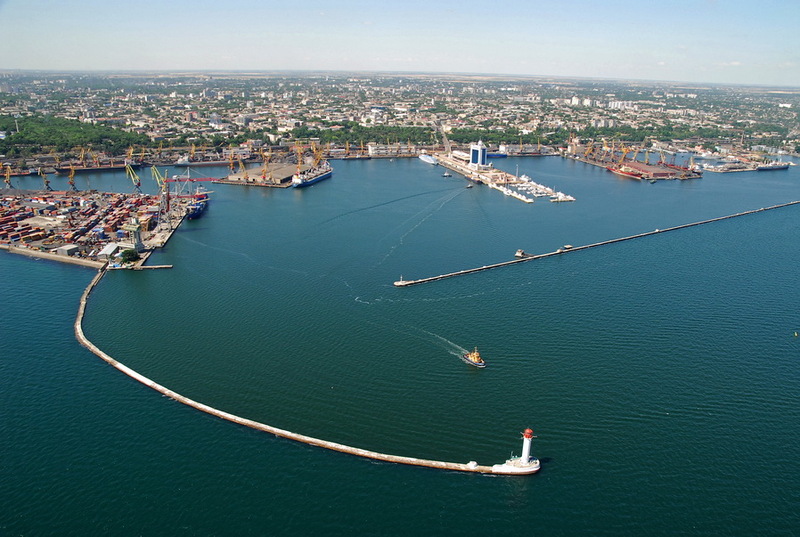 Odessa Seaport. Seeing Off a Ship – Monument to all who are at sea and to those who are waiting ashore. The Odessa Lighthouse can be seen in the background. The population of Odessa is just over a million, however its cultural impact and its presence are on par with larger capitals of the world. At the same time, it preserves the rare charm and coziness of a much smaller place. 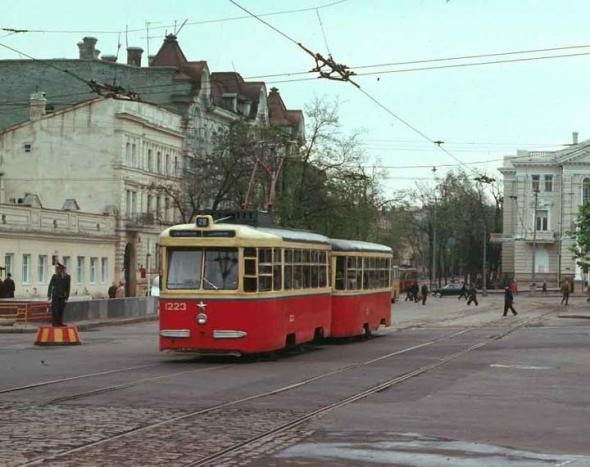 Odessa is a self-styled “state within a state” which always fancied itself as a porto franco, while being fatefully stuck in someone else’s backyard. But it’s one of those places that is destined to always bounce back from any adversity or disappointment. It’ll always find its balance because of its built-in DNA of fun, love, art, success and humor! And THAT no one can take away. In this city, art has always been very important. 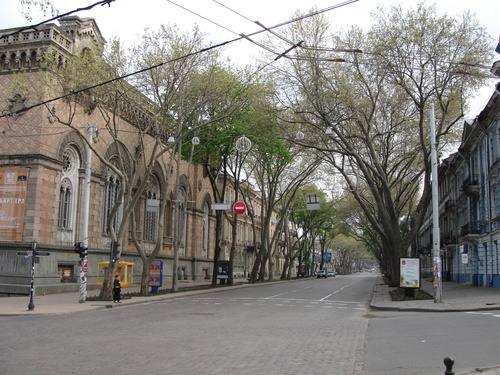 Cobblestoned Pushkin Street with Odessa Philharmonics on the left. Famous Russian writer/poet Alexander Pushkin was exiled to Odessa from the Russian capital of St Petersburg in the first part of the 19th century. 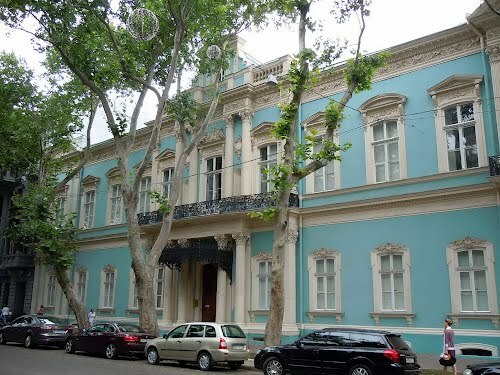 Located on Pushkin Street, the beautiful building above was his residence while in Odessa. It is presently the Pushkin Museum. 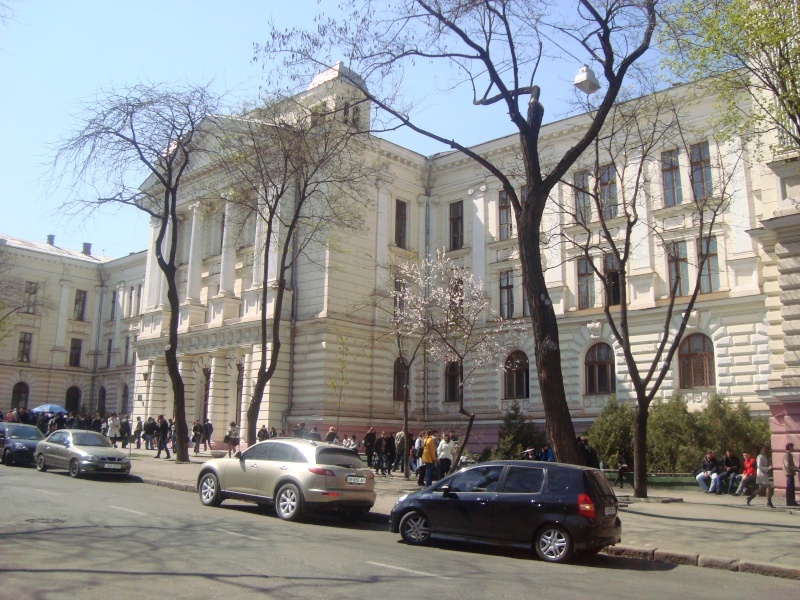 In general, Odessa boasts a pretty monumental list of famous scientists, engineers, writers, singers and athletes who were born, grew up, or lived at one point on another on these hospitable shores. 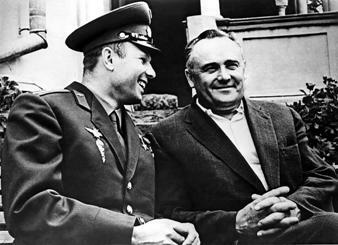 Included are: Sergei Korolev – the father of practical space exploration, who has sent the first Sputnik and the first man, Yury Gagarin, into Space (he went to school in Odessa); microbiologist Ilya Mechnikov (Odessa University is named after him); Vladimir Filatov, ophthalmologist, founder of the famed Filatov Eye Institute. 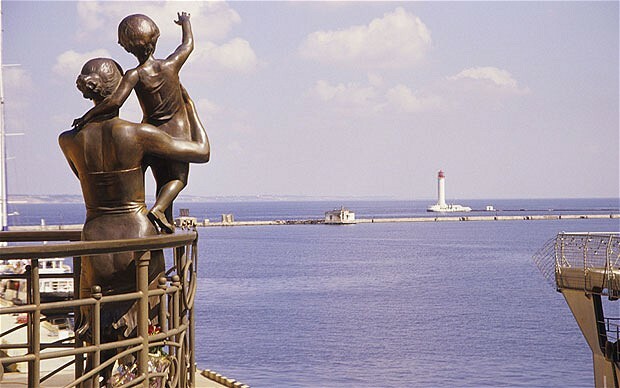 The family of the famous French singer Joe Dassin emigrated to Paris from Odessa. 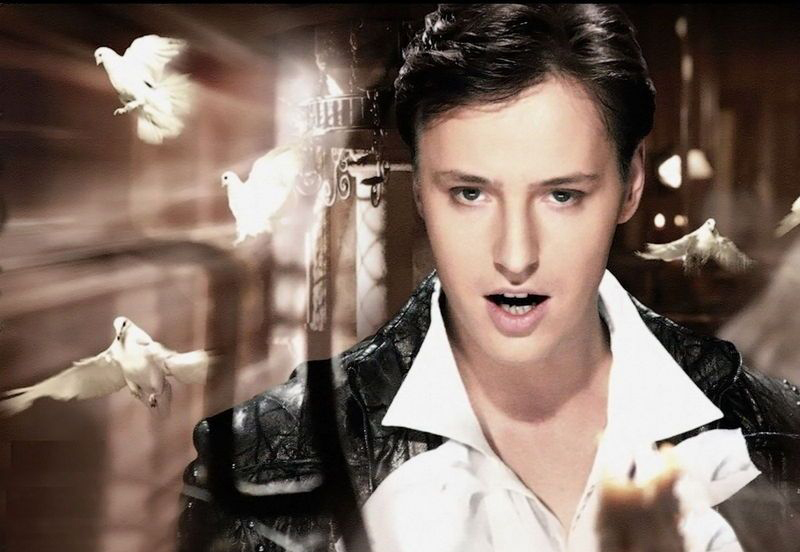 Unique singer Vitas, referred to as “a voice from an angel,” and “diamond of Russia,” who enjoys a god-like status in Asia due to his one-of-a-kind high pitch voice, was born and grew up in Odessa. My favorite contemporary singer and songwirter Vitas. His voice is absolutely unique and impossible to replicate, his songs are amazing and otherwordly. Deribasovskaya. 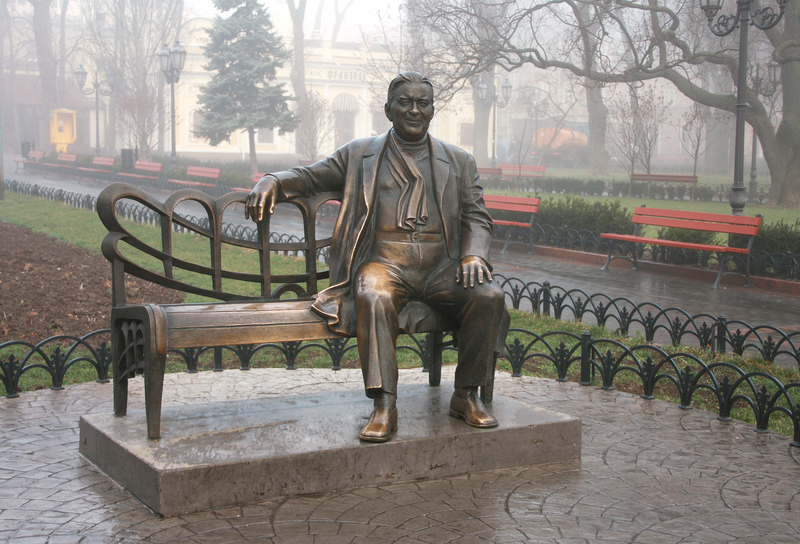 Statue of Leonid Utesov, Soviet screen legend, born in Odessa. 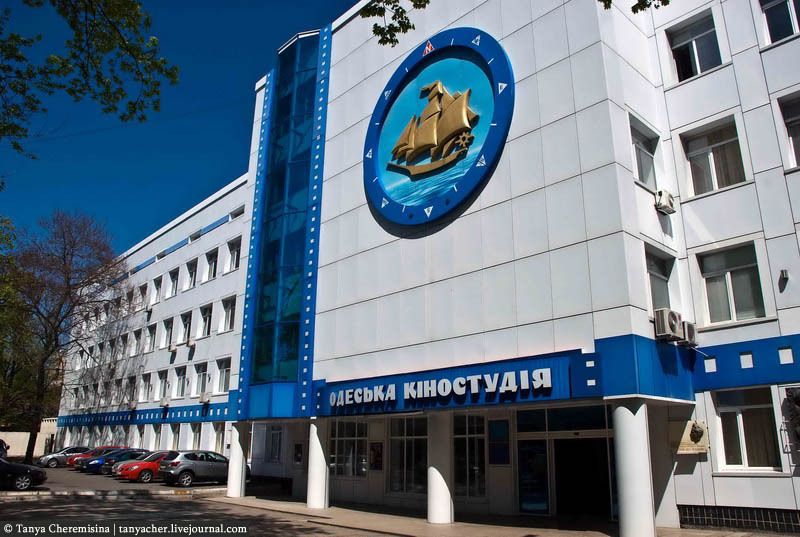 The classics of Russian and Jewish literature born here include Ilf and Petrov (12 Chairs and Golden Calf), Valentin Kataev (The White Sail Gleams), Yury Olesha, Isaak Babel, and others. 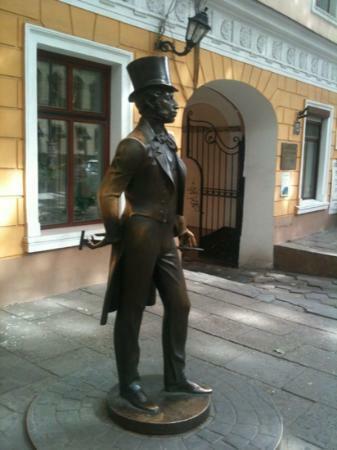 The great poet/writer Ivan Bunin, first Russian recipient of the Nobel Prize for literature, lived here as well. 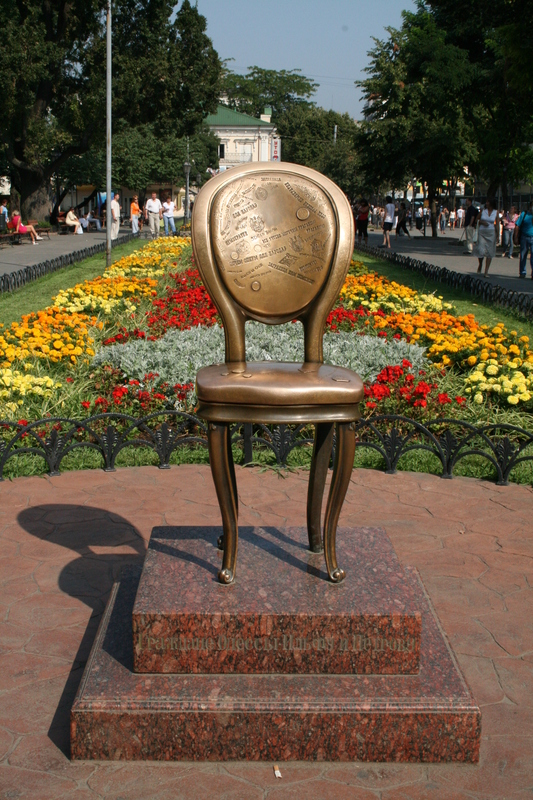 Monument to the classic satirical adventure by Ilf & Petrov, 12 Chairs. City Garden, Deribasovskaya. Even though Odessa is a southern city, its figure skating school was famous for producing such Olympic/world figure skating greats as Oksana Baiul, Victor Petrenko, and their equally famous coach Galina Zmievskaya. Ice Dancers Oksana Grishuk & Evgeni Platov, Two-time Olympic, four-time world, three-time European champions were both born in Odessa. Olympic/world/European medalists Elena Grushina and Ruslan Goncharov are also from Odessa. Film makers/directors Sergei Eisenstein (Battleship Potemkin) and Aleksandr Dovzhenko lived and worked here. Odessa Movie Studio, named after Alexandr Dovzhenko. I grew up next door. The movie studio was the sponsor of my high-school, located across the street. I’ve just barely scratched the surface. There are many, many other famous scientists, writers, dancers, skaters, gymnasts, etc. Odessans live all over the world, but they never forget where they’ve come from. The Chairman of the club is famous Russian comedian, Mikhail Zhvanetsky (on drawing above). 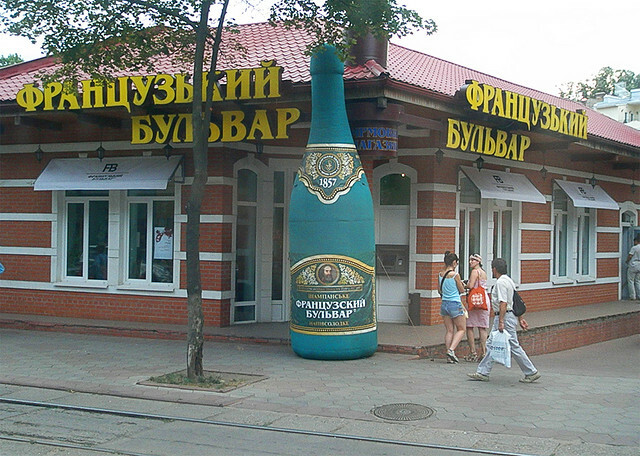 The oversized bottle above reads “Champagne French Boulevard.” I grew up on French Boulevard (Frantsuzky Bulvar), called during soviet times Proletarian Boulevard (Proletarsky Bulvar). Its historic name was restored in the 1990s. 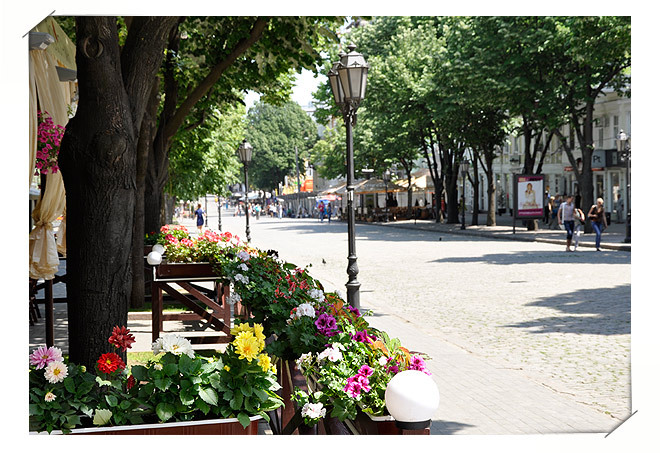 This is a beautiful tree-lined and cobblestoned street lined with beaches, resorts, restaurants, Odessa Movie Studio and Musical Comedy Theatre. The only manufacturing facility in the area is fittingly, a wine & champagne factory. The historic Wine Factory on French Boulevard. The original historic sign reads: South Russian Winemaking Society. 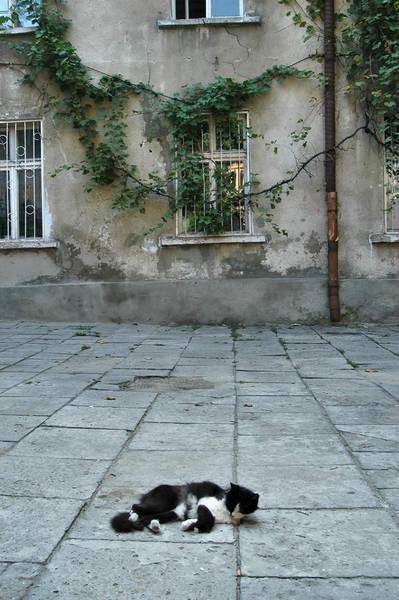 Local charm: An old Odessa courtyard with a kitty (“Odessky dvorik,” as it is known). 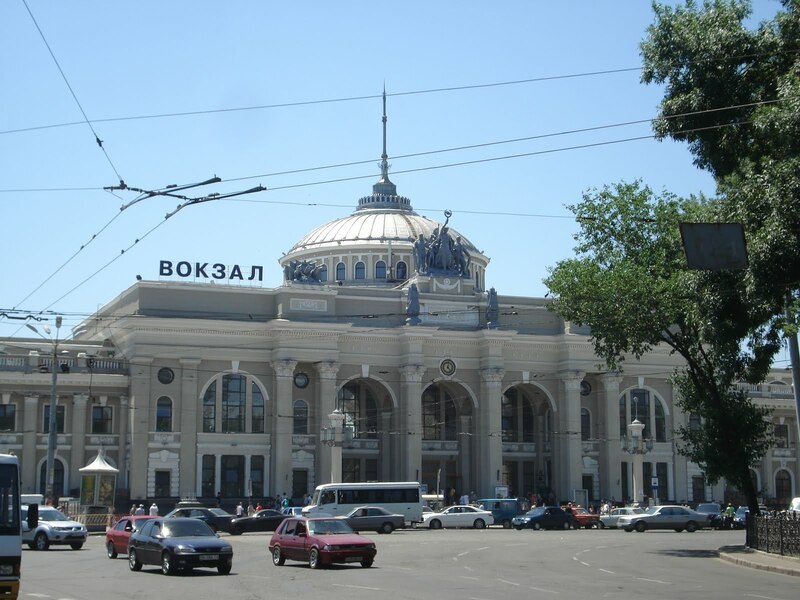 The landmark Odessa Train Station. My parents worked for Southern Railways and a big part of my childhood evolved around the station. How I adored to travel by train! I took every opportunity I had to hop on a train and go exploring. 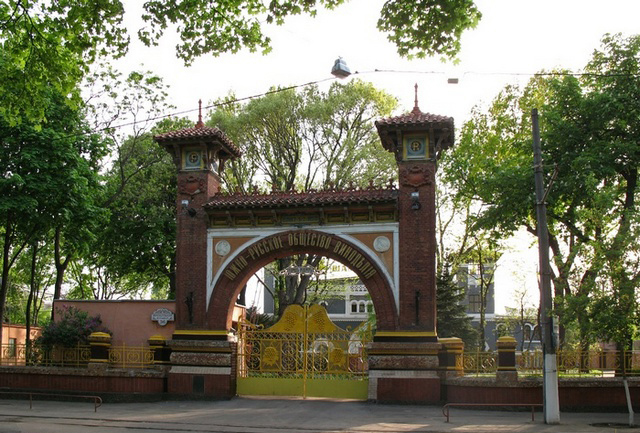 Odessa University named after Ilya Mechnikov. I started my higher education here. This is one of my favorite childhood memories. While the Ottoman Khadzhibei fortress was destroyed during the Russian takeover, several fortresses in the surrounding area are still intact. 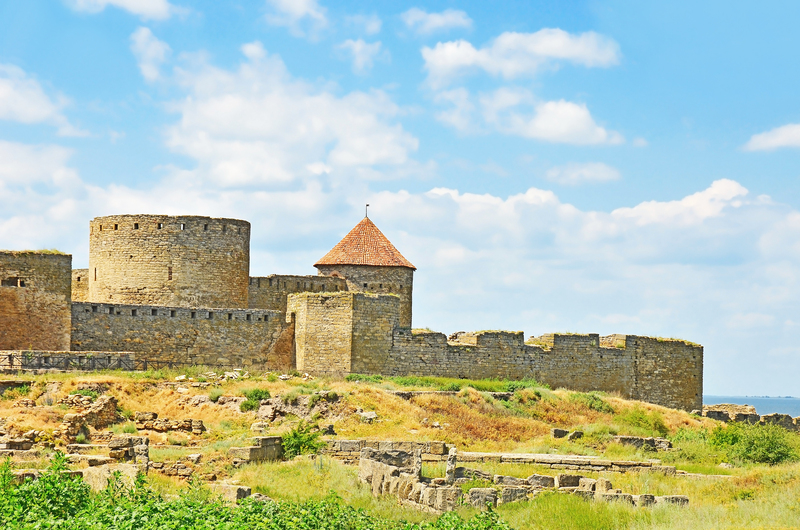 How I loved visiting the Akkerman Fortress, located in the quiet town of Belgorod-Dnestrovsky, Odessa Oblast. So many great memories! Here, I just barely scratched the surface as it would take a million posts to describe the charm, the uniqueness, the beauty and the intangible, impossible to replicate, feel that Odessa exudes. 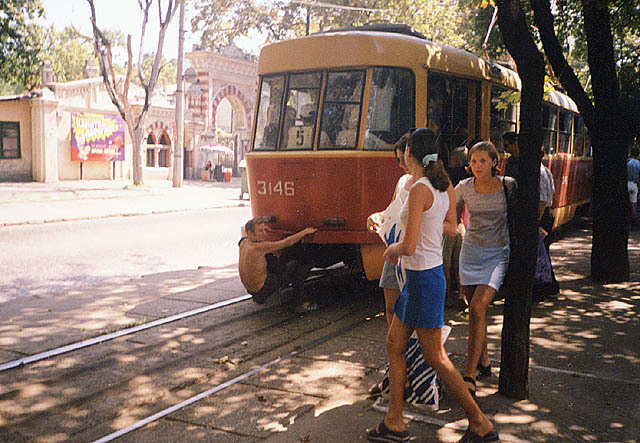 When I think about Odessa, the air around me brightens up and I am transported to the world in which I can hear the familiar ringing of Odessa’s trams and where the sound of waves echoed by calls of seagulls is pure poetry in motion. I can smell the blooming acacia and lilac mixed with warm sun and Odessa’s famous gentle sea breeze. And this precious moment lasts… until I have to get back to reality. Yes, the wall house is really something, isn’t it? In reality, this is an optical illusion. It’s triangular in shape, which cannot be seen at this angle. I still have no idea how people adjust to those odd shaped rooms. I love these pictures. What a magical place to grow up in. No wonder you are so creative and talented! 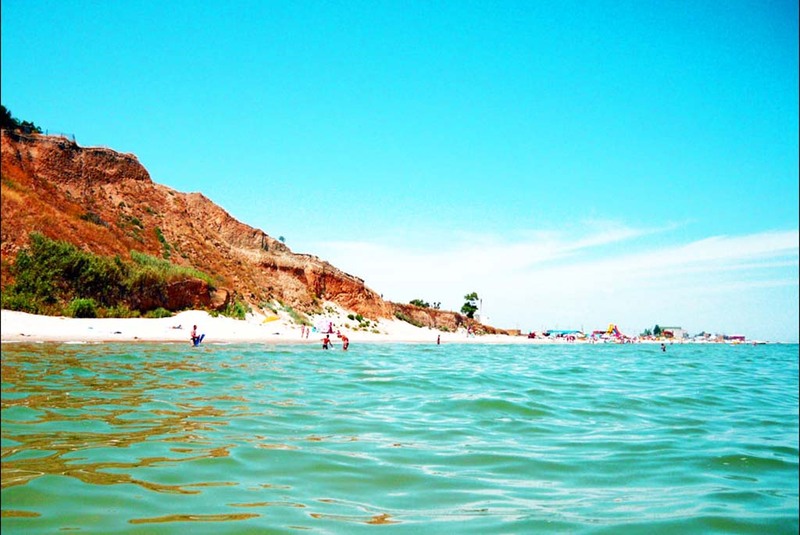 You make me want to go to Odessa so badly. The beaches are amazing. I love the photo journey of Odessa. Still can’t get over how beautiful and clean the cities are. Everything looks manicured. Agree, I like Vitas too. Very original sound. I don’t think of beaches and Russia — how warm does it get? Your book the Golden Train arrived today. Will start reading it soon! Love the cover. Odessa has always been almost the exact south-western tip of Russia/USSR, so unlike in, say, Moscow, it’s pretty warm there. Now it’s actually a part of the Ukraine, which happened as an unintended consequence of the USSR break-up. I believe it’s on the same parallel as NJ, USA. 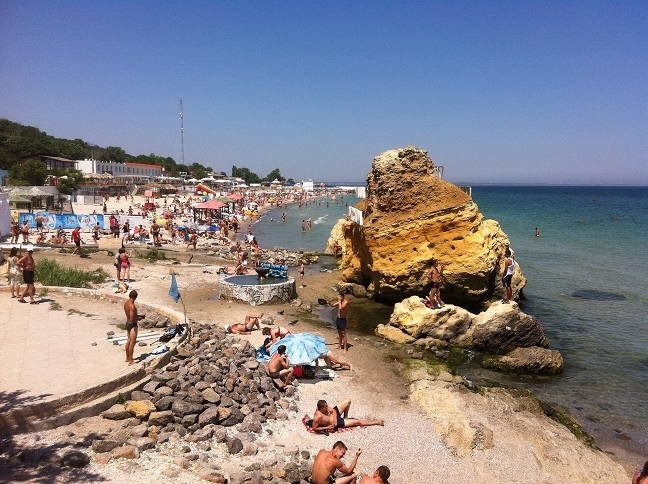 But it has a much better climate – Mediterranean/Black Sea climate is famous for its mild and warm quality. I lived in Princeton, NJ for 12 years + I lived in Italy, so I can compare from personal experience. I actually prefer the Black Sea climate, as many do – it’s milder and the air is less dusty than most of Mediterranean. 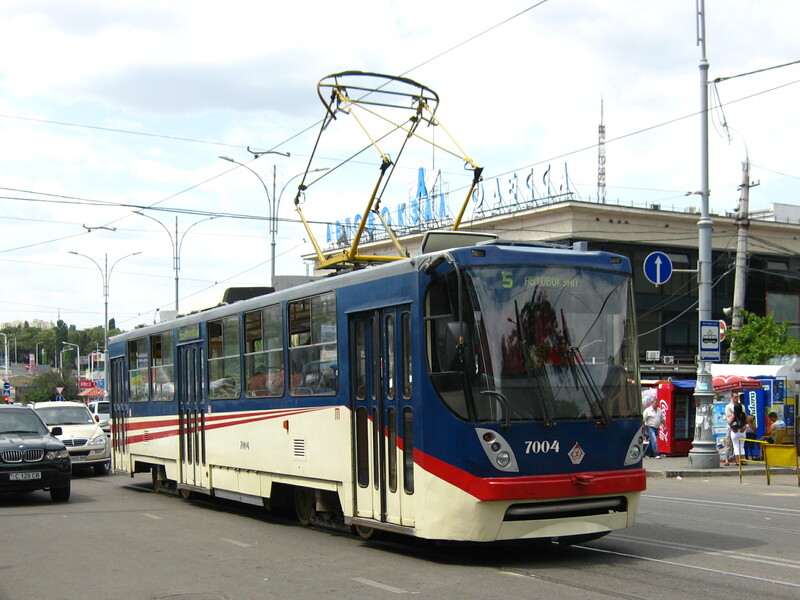 When I used to visit Moscow from Odessa growing up, people would greet me in Metro or on streets: “Hi, you are from Odessa” – just like that. My complexion looked so obviously different from their pasty one even in winter because of the sun and warm climate. 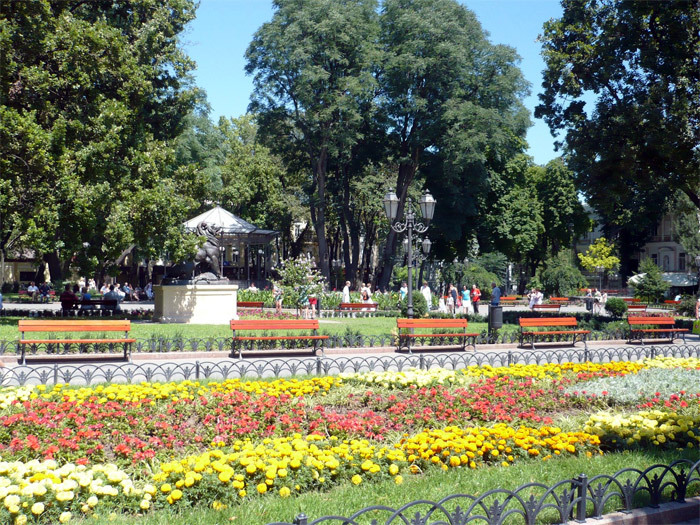 I call Odessa “the town of 3 seasons.” It has 3 spectacular, beautiful seasons. In the summer temps reach 30-35C, in spring and fall it’s probably about 15-25c. In the summer the gentle breeze from the sea and lots of trees reduce the heat, so it’s rather pleasant. The sea is very nice and warm. Only winter isn’t as great, as it’s a bit damp – temps near 0C and the snow usually melts. BTW, palm trees grow in Odessa. The Arkadia beach has some growing along the main alley. 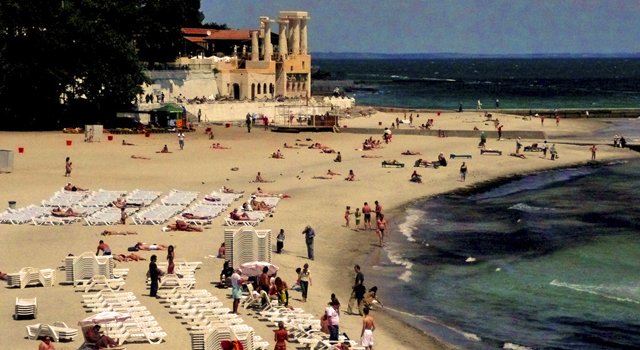 You also probably know of the legendary Crimea, Yalta being the main resort – its climate is almost like Odessa, but a bit hotter and drier. I do prefer Odessa though. Crimea is also now part of the Ukraine for the same reason as Odessa. 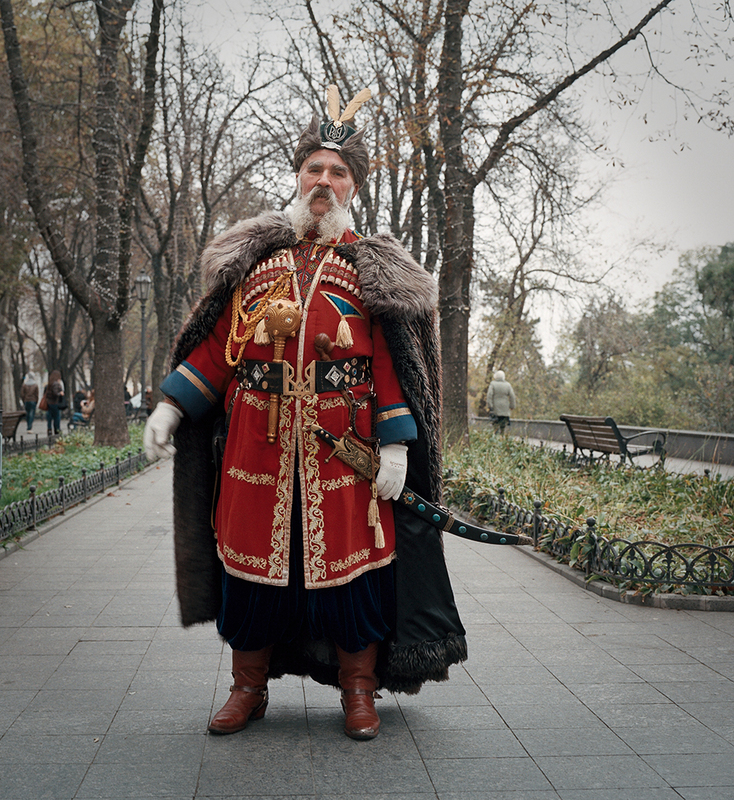 Most Russians who used to go to Odessa and Crimea for the summer, when these were part of the country, now go to Sochi, or similar Russian resorts in Caucasus. 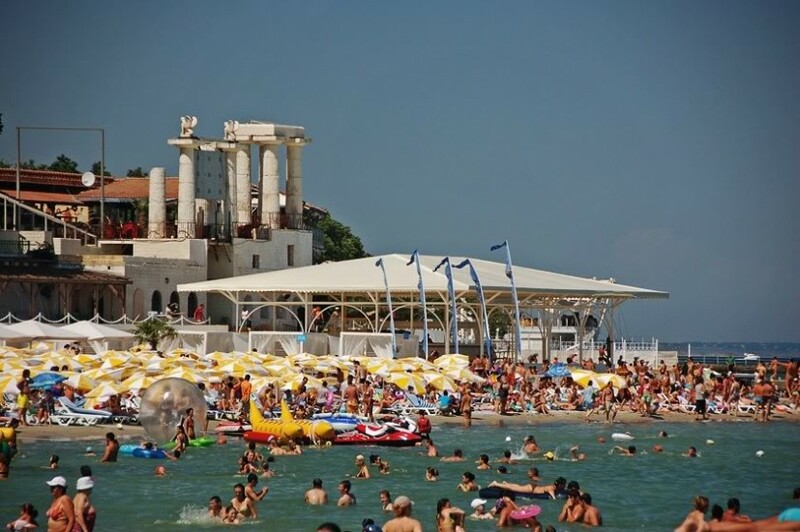 You probably heard about Sochi, the Russian resort city on the opposite from Odessa side of the Black Sea, where the Winter Olympics 2014 will take place. 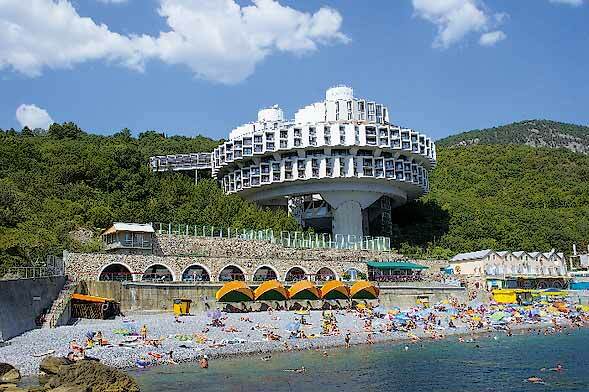 Sochi is the only Russian city with subtropical climate and it’s currently extremely popular. Lots of beaches and also lots of winter sports. Nice city though, and very unique. The reason Winter Olympics can be held there is because up in the Caucasus Mountains, just a short distance from the subtropical beaches, it may snow, while people are swimming by the shore. Cool, right? 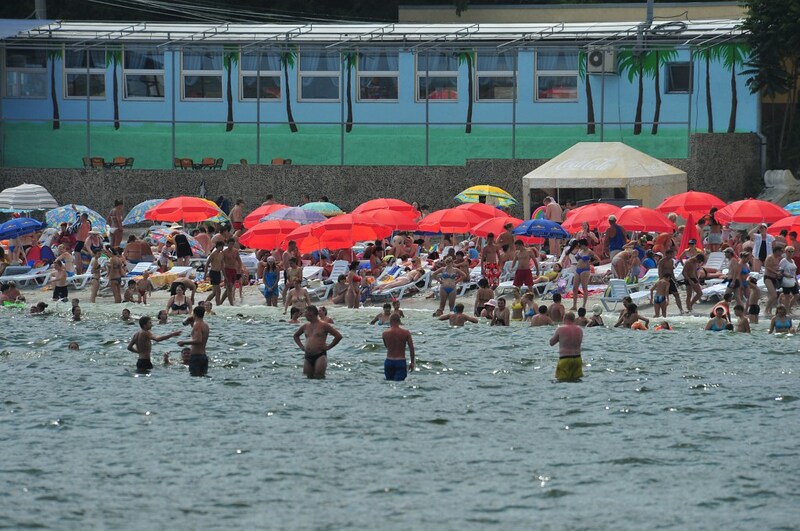 Russians are investing a ton of money into Sochi to bring it up to the best standards because the idea is to turn it into a global resort of choice after the Olympics, since you can do both summer beach and winter sports there. As usual, your questions are so good that I end up writing a dissertation in response, lol. Hope all this is of use to you. 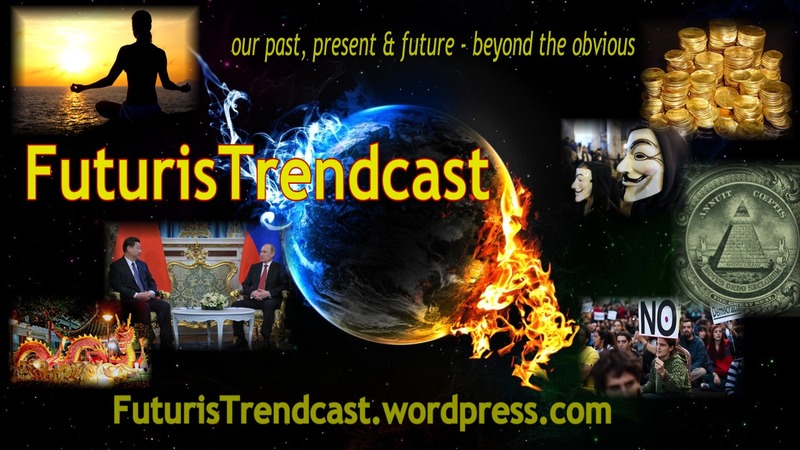 Warmest regards and thank you for all your interest in Russia! Real nice pictures here ! Heard that this place is also famous for beautiful women! 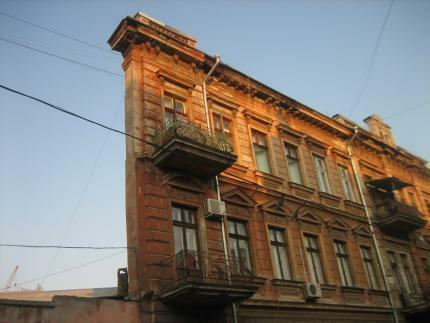 I just came back from an Odessa visit…its a beautiful city!! Visited all those places you mentioned in your post…wish I had more days to see the city…What luck to be able to live there? I envy you in a very good way. I haven’t been back for ages and I miss Odessa. Yes, I treasure my childhood experiences very much. And even today, these memories always warm my heart. 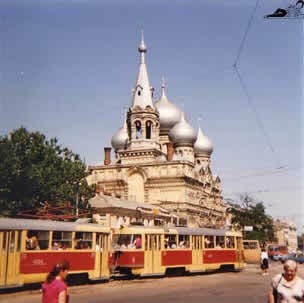 I am from Moscow, but my grandparents were from Odessa, so my BEST memories are from there!! Langeron, Delfin, Arcadia, etc-beach ofo my childhood…I wish I had more pictures from that time period, but unfortunately my grandpa was a huge fan of face photography, so all pictures from those times are of family faces, and not places, lol. 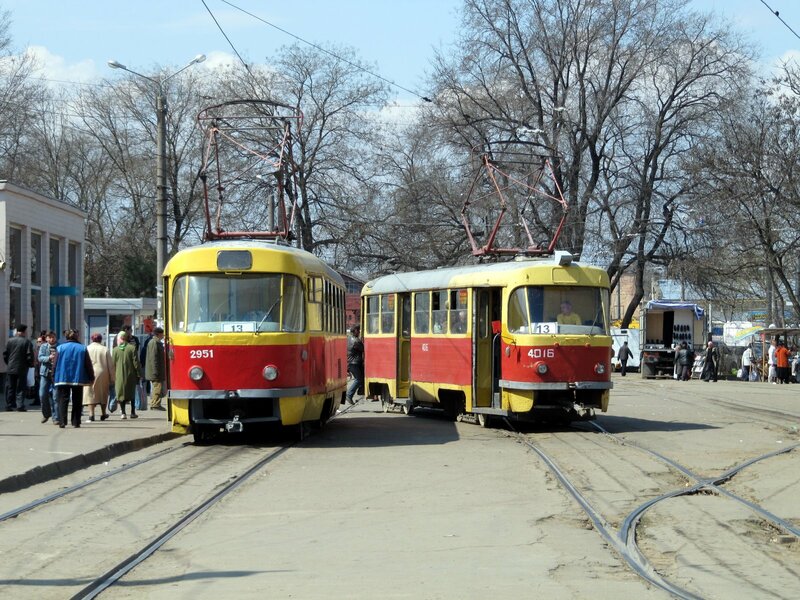 They lived on Prospect Shevchenko, Dom 6-best time of my life, thank you for the pictures. It seems, your grandparents were my close neighbors. I lived on Proletarsky (now Frantsuzkiy) Bulvar, only a couple of blocks away. What an amazing area to live in. So many great memories for me as well. Here, I just barely scratched the surface. 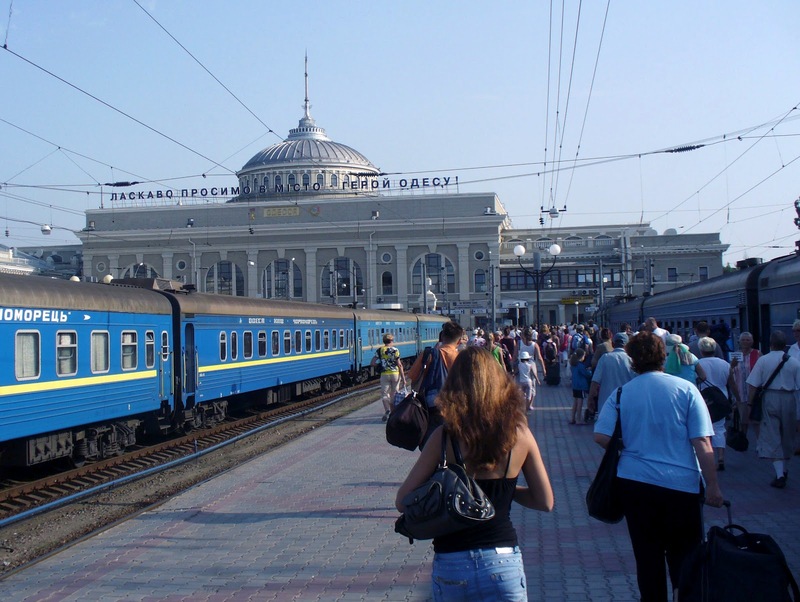 Check out the first post in the series as well: Odessa, the Pearl of the Black Sea. It can be done via link in the post.